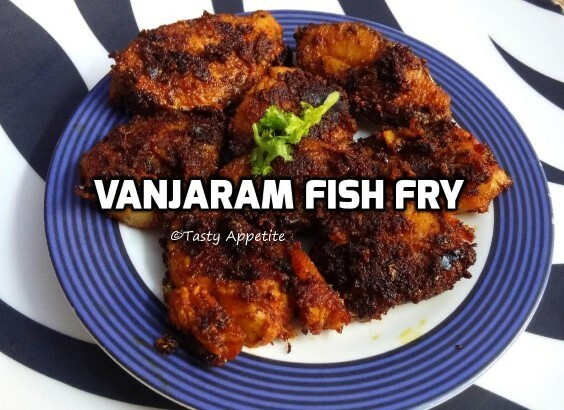 Vanjaram Fish Fry Recipe: Here goes the easy recipe to make delicious, healthy fish fry at home. It requires very few ingredients and can be prepared quickly. In this recipe, the fresh fish is marinated with spices overnight and shallow fried to golden. 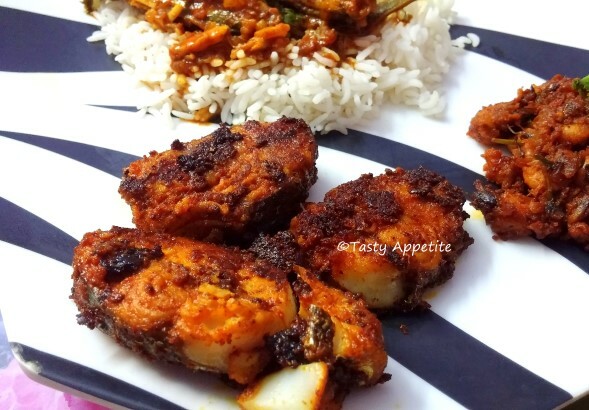 Try this best tasting Indian style fish fry recipe to serve as a starter or with main dish. Clean and wash the fish slices thoroughly. In a mixing bowl, add turmeric pwd, red chilly pwd, pepper pwd, ginger garlic paste, salt, lemon juice, thick tamarind juice. Now add the fish slices and coat with the masala prepared. Let it marinate overnight or atleast for 3 hours. Place the fish slices carefully in the hot oil. Let it shallow fry for few minutes. Flip it to other side and fry. Once it turns crispy and golden, remove from flame. Yummilicious Vanjaram fish fry is ready. Enjoy hot with steamed rice and fish curry or sambar.